Sone Aluko who marked his 28th birthday on Sunday, has reacted to his birthday snub from Fulham and it has not gone down well. In the wake of their 3-0 loss to Tottenham in the FA Cup last 16 round on Sunday, the Nigeria international revealed he never got social media shout-out from the media team which is a tradition for celebrants. 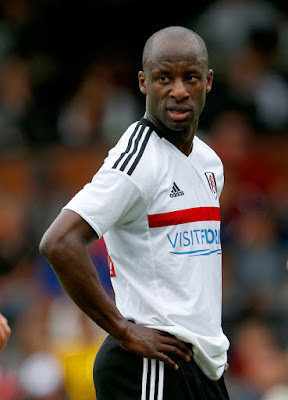 Aluko who played for 66 minutes before being replaced by Gohi Bi Cyriac, admitted that he didn't note such a mistake until the club's media team apologised two days later for their ignorance. A Harry Kane's hat trick dumped Slavisa Jokanovic's men out of the in the Craven Cottage.